Parents and carers are warmly invited to apply to enrol their child at Hughes Primary School for the 2019 school year. 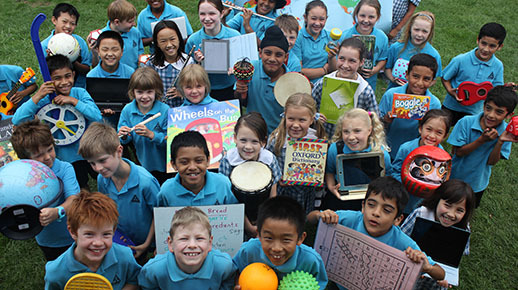 Enrolments for Preschool to Year 6 have now commenced. For more information about the enrolment process, including access to the online enrolment / transfer form, please visit our school enrolment page. Our vision for success is to differentiate the curriculum and, through high-quality teaching, meet the diverse and individual needs of all students. To this, we have ensured that our approaches to learning and teaching are specifically targeted to ensure that every student receives every chance to attain success at school. We also take pride in our students' ability to engage in learning opportunities that require highly-developed analytical and creative thinking skills to will prepare them to take their place as successful and engaged global citizens. What's happening at Hughes today? Our school is always involved in something interesting everyday and we would love to take this opportunity to share it with you with our school facebook page. You can also find out about upcoming school events and about our school's involvement within our local community. We welcome you to join our Facebook community today to discover more about what Hughes Primary has to offer your child. The Hughes Primary School Facebook page is not intended for or designed to attract anyone, under the age of 13, to create their own Facebook account to join our community page. We encourage parents/ guardians to be actively involved with their child's online activities to ensure that they abide by the terms and conditions outlined by this social media service. Visit our Facebook page at www.facebook.com/HughesPrimarySchool to learn more. Hughes Primary is fundraising with the Entertainment fundraiser this year, and we’d appreciate your continued support. Your 2017 | 2018 Entertainment Membership is expiring on 1 June 2018. Please continue supporting our fundraising by purchasing the 2018 | 2019 Entertainment Membership from us today. Hundreds of great value offers are ready for your enjoyment, while also helping our fundraising!